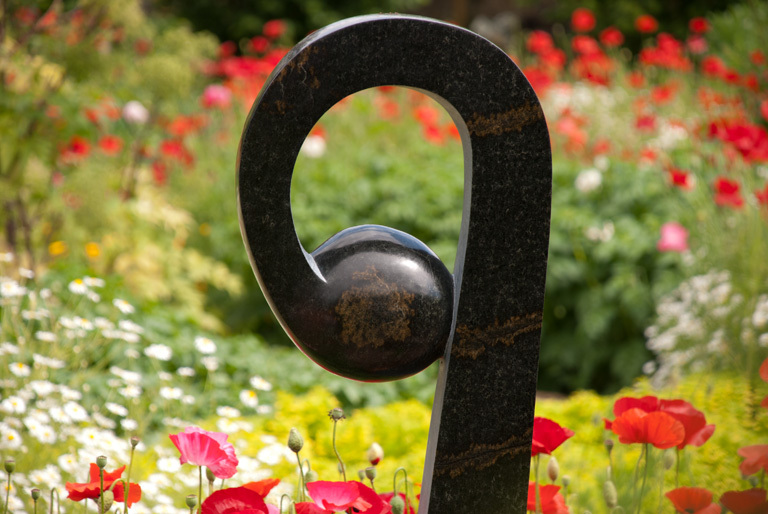 This piece was really simple but I thought it looked fabulous amongst the red poppies – of course they won’t be in flower forever, but the look could be recreated for a longer period of time if the plants were chosen carefully. The two birds in the middle of this picture caught my attention. 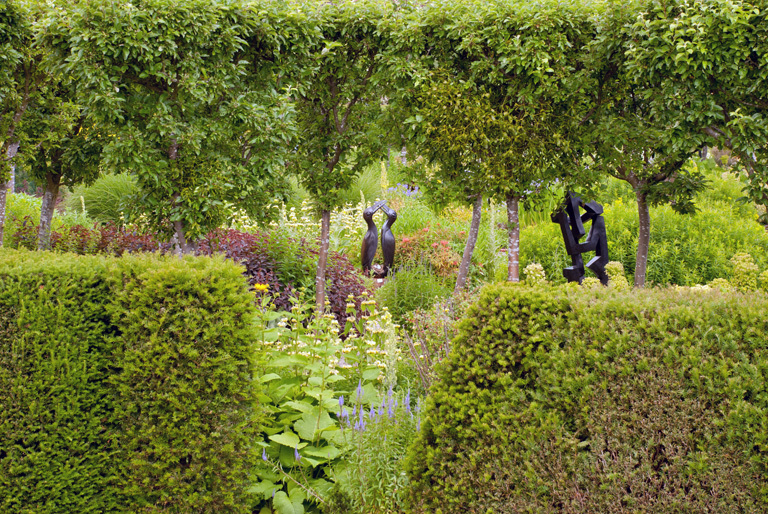 I think they looked fabulous amongst the lush planting – they’d make a great focal point in any garden. This lady was in the herb garden sitting amongst the flowers and I was immediately drawn to her to take a closer look. 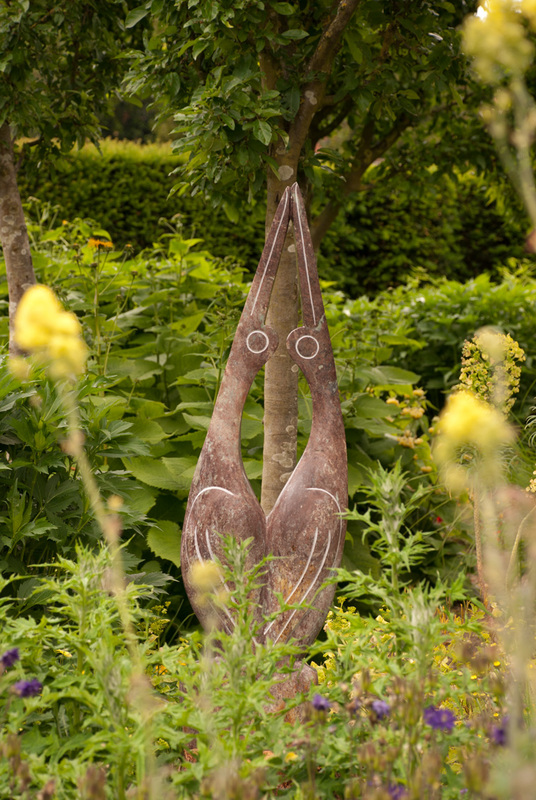 Like the other birds above, I think this piece of sculpture looked lovely amongst the planting. Something to stumble upon maybe, but definitely would look better with the softness of plants around it. 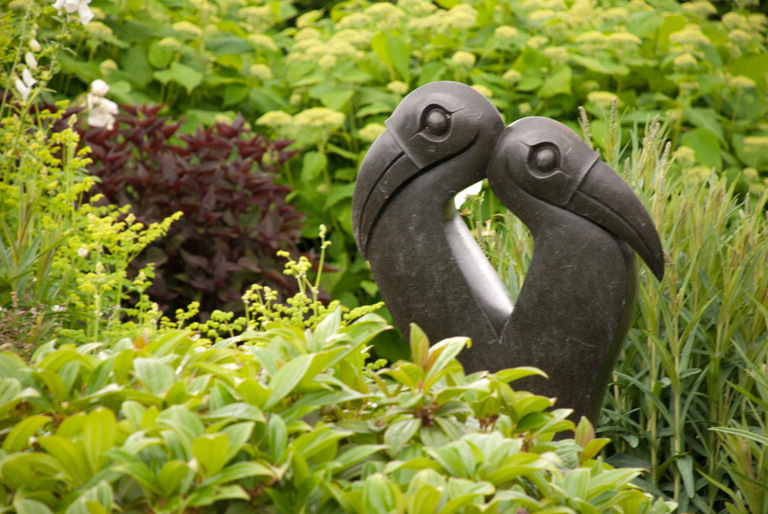 These “love birds” were in the White Garden and I thought this was the perfect spot for them, in amongst the romantic planting. It’s a really peaceful part of the garden with a fountain and soft foliage planting where all the flowers are white. 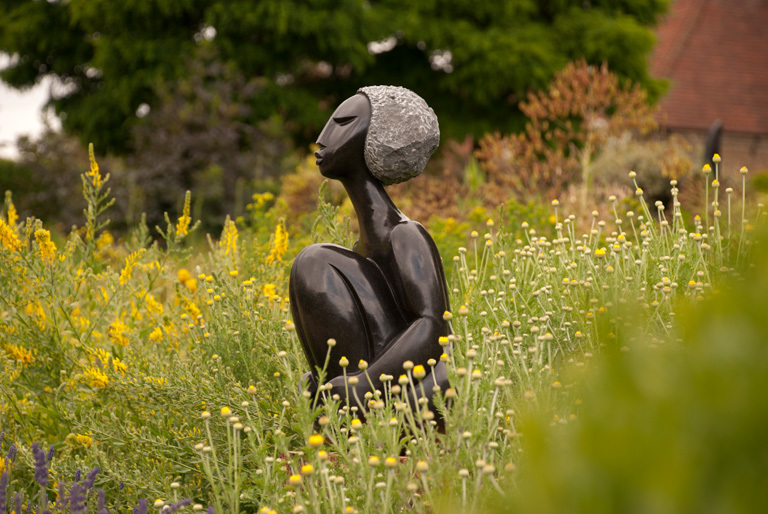 The exhibition is on until Sunday 3rd July, so why not pop down there and take a look – an added bonus to the gorgeous garden there. Admission to the garden is £4.50 (adult) and it is open Tuesday to Sunday between 11am and 5pm.